I still think it is better for the hole commander if the Hetzer becomes an AT-unit like the StuG with an upgrade for the flame-thrower. The unit should get 45 range, fire-rate and pen of Panzer IV and frontal armor of Tiger 1, side with 20. Aggressive little tankhunter. Same camouflage ability like Jagdpanzer IV, but remove it of Jagdpanzer IV (is OP with 60 range). So you can get a medium tank without T3. Its is a really dissapointing commander, lackluster at best. Though that said, the sturm flamers alone actually make this a solid pick for me, as I find their reliability over the incendiary nades can be game saving against say early maxim/vickers spam on an urban map. The hetzer could be reworked to fufill a niche role as an early breakthrough unit, upping its frontal armour and giving it a more potent flame turret could see it become a poor man's crocodile. OKW do struggle against early at guns walls and mgs currently, having a unit designed to push through would be a great alternative to the current spam leig/early stuka. Other than that, salvage as a whole needs reworking, recoup manpower is rather lame and encourages spam, swapping it for something more like the old PE booby traps for buildings and strategic points would be way more fitting. Then its just seeing the rocket barrage get some DOT in the aftermath of the salvo, a bit like a combination of a USF ToT precision barrage and the SOV incediary barrage. something more like the old PE booby traps for buildings and strategic points would be way more fitting. I think we can all agree that would be best (as I recall myself and others talking about this). Read it again, and this time include the first sentence in its entirety. If you don't know what I am talking you wouldn't be making such comments in the first place. A mature and discerning reader would have merely asked for clarification. You don't speak for other people, especially if you can't read, or even write Italian properly. Or, you can do the most logical thing, and remove the hetzer all together, it's really what's crippling the doctrine. I know the dev's didnt invent the hetzer...but the germans had other flame-tanks to choose from. A fixed gun flame vehicle is probably stupidest thing to put in an RTS video game. The hetzer is to long, narrow, and slow in turning, a turret is needed. Just replace it with a tank that has a turret and the doctrine will be much more respectable. I'm sure there's backup templates of panzer I's II's and III's in the game somewhere, (if not coh1 probably has some) just use those, then copy and paste the flame damage from the hetzer on to it, then lower the armor on it to match it's looks. Done. I couldnt really find any info on the flame panzers, but im sure @ImperialDane has plenty with his time-traveling abilities; that's the only reason i can explain how he knows so much. The most important thing is the template, the hetzer doesnt look right. The soviet flame tank works because it has a turret, you cant do that with the hetzer because it would look visually weird. Remove the Hetz and give the leig flame rounds? For a fire based commander its easily the worst... I mean the brits get "burn everything out of garrisons in the fog of war and deny them for a time"
The most realistic way of using Hetzer in the game is if it was paper JP4. But that still makes it too similar to JP4. I think it's fine as long as it's weaker and given AT gun instead; I already got flamer upgrade, I don't need to spend fuel just to be redundant. A turretless light flame tank is fine, but not if its fuel costs are Walking Stuka. Even StuG doesn't cost that much. Personally I'd just settle for 251 halftrack call in. It's weaker, but costs less, and does more for the player. Even USF of all factions get Soviet halftrack with Calliope. I know the dev's didnt invent the hetzer...but the germans had other flame-tanks to choose from. A fixed gun flame vehicle is probably stupidest thing to put in an RTS video game. With a Hetzer change we can fix some other things of game too. This is kind of off-topic too. 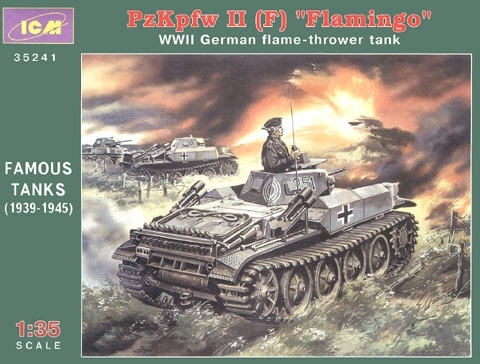 Change Flammhetzer with Panzer II Flamingo (Panzer II Luchs-blueprint with MG34 and SdKfz. 251 flame-thrower), change Jagdpanzer IV with Hetzer (Hetzer with StuG-gun), remove Jagdtiger and put in Jagdpanzer IV (buff its gun to Panther pen and damage). Poorly it is impossible to mod models in CoH2. So you can't test them in a mod. It looks really ugly. ^^ Hetzer has no gun-animations. Luchs can't fit with flam-throwers on blueprint. someone has a superiority complex wow... do you go around like that in real life as well? so i may not DIRECTLY quote someone? and say thats what WE want? even though THEY said it in THEIR quote... you really have a superiority complex..
"no no no you cant disagree with me, and if i say something and it sounds wrong you must interpret it how i want you to, not how i sound..."
whats wrong with just altering the hetzer to make it feasible..? lower the CP and cost.. simple. > Remove the Hetz and give the leig flame rounds? For a fire based commander its easily the worst... I mean the brits get "burn everything out of garrisons in the fog of war and deny them for a time"
> whats wrong with just altering the hetzer to make it feasible..? > lower the CP and cost.. simple. Nothin wrong with tweaking the hetz, i just think its a bit of an awkward unit, it doesmt have any of the advantages of the other flame units (turret/massive healthpool/coming hella early/being hella cheap) so its a bit tough to work with. In an ideal world it would be great to see the flame hetzer replaced with something more appropriate like the panzer 3; mainly due to its awful design of turreted flame weapons and implementation into a game with such horrid pathing issues, but lets be realistic, Relic won't invest any resources to create new assets or models. And despite giving the community a much larger role in the game than ever before, I cannot for the life of me see them allowing a compromise on the overall quality of coh2. especially by letting modders in the community try to implement something like a flame panzer 3 from old templates hidden somewhere in the game files. My view is that it has too either be a cheap and cheerful throwaway unit that comes early, a little like the OST flametrack. Or it has to be shifted into a poor mans crocodile, giving it high frontal armour and fixing the main flame cannon so its actually potent. That way it acts in a similar way to the croc or brum, becoming a linebreaker that can shrug off at guns and go after support teams, something that OKW lacks and would fit really well into their agressive faction design whilst giving them an alternative counter to support unit spam that isn't leig spam or stukas. Imo all flame vehicles should be changed to work more like hand held flamers. With little or no DOT. The DOT should become an ability. That would help balance these units allot. Im inclined to agree with @Vipper. DOT damage makes things a bit complicated. I'll take that as "no I prefer jumping to conclusions." No, my first sentence seems clear enough- a commander designed for X is not likely going to be great if you use it for Y. The rest is just saying that all commanders should be designed that way because there would be a commander for situation X and Y, with some overlapping abilities (ie flamethrowers or Thorough Salvage). This is no response to any specific comment. There's absolutely no reason to presume that any of this means "there's no buff needed" or that discussing buffs is wrong or whatever. I don't need to google capish, I know from studying Italian long ago that's incorrect spelling. That's right, I have my own opinion on the matter. Something wrong? An ability that requires you to train a specific unit first is often unpopular and underused and overall not great for a commander. The only reason why certain ones work is simply because they apply to the most common units, like Flamer upgrade for Sturmpioniers. Similar abilities that work apply to multiple unit types, like Infiltration Tactics. Problem is that incendiary stuff via commander for OKW isn't useful unless it's something like an off-map artillery strike. 75mm incendiary is a neat idea, but it overlaps with Walking Stuka barrage (which I find pointless given high munitions cost, wide scatter and basically lets you not get an actual Walking Stuka). Volksgrenadiers can also use incendiary grenade by default, and Walking Stuka unlocks a (terrible) incendiary barrage at vet4, which mind you also act as double tap (ie launch regular rockets then immediately launch flame for twelve within seconds). if they make a similar Firestorm commander with off-map flame rounds that's a different subject. Making it come earlier means it replaces all light vehicles with anti-infantry role because call-ins don't require tech. No one would need to go for T3 because it replaces Luchs, and neither T2 because it replaces flaktrack. At the same time it doesn't make the Hetzer any more feasible since it's still light vehicle costing 80 fuel and only good at anti-infantry, an option that leaves out teching for T4 and more AT options. Worse, it makes Sturm flamers even redundant. Would restricting the volks flame nades to this commander be viable lol? If Volks had the same piss poor fussilier nade as standard again, it would help balance out volks without ruining anything else (like their vet or dos) and make this commander much more viable. (Just thinking aloud). Imo stock incendiary grenades (ig) should be removed from all mainline infantry. They remove the point from garrison and heavy cover. And you are right part of the reason VG are OP are igs, on the other hand once igs are removed OKW will need more stock tools to deal with garrison. Then we return to the debate of whether a commander should faciltate the majority of anti-garrison tools. I mean it's name would emply destruction of garrisons and fire. Basicallly a doctrine for what the German army did to Warsaw when the Soviets decided to let the Polish resistance collapse. Also, an OKW demo charge would be hilarous for the simple fact of letting the soviet players know what it's like. Kappa. Imo Commanders should offer option that augment stock units. OKW should have stock tools to deal with garrison and cover but I see no problem in commander specialized in urban warfare. Problem with incendiary grenades being doctrinal is that OKW should have a weaker, blander variant as stock option. Instead, there is no other option. Perhaps Flamer upgrade should be Volks upgrade instead? You'll be juggling between MP44s, flamer, or the ability to pick up stuff. If you want a "fire from heaven" kind of commander, the easiest choice is simply replace Walking Stuka barrage with off-map incendiary 75mm shells. Problem with so many fire-based abilities is one of them's going to be more versatile than others and thus commands the most use, leaving the others idle fillers. Thorough Salvage and Recoup Losses aren't "fire-themed" but that's the good thing because it applies to many more situations. So in a way the better way to buff this commander may be to just remove a fire ability. Naturally some people gravitate to altering or removing Hetzer, or Flamer upgrade. This goes back to what I first said : there are many ways to improve this commander, but the supposed themes generate debate on what's most appropriate. Is it better off if it's not so fire-based in the first place? Is it better off if it's not so fire-based in the first place? That it is. No commander should be an one-way-ticket without alternatives. I also had some ideas to mix and change some other commanders too, to make them more universal. (not only for OKW). That would be terrifying like the old Rifle Co. or Penals so I doubt it would fly. In an ideal world, Lava 'nades would probably work well on Sturmpios, but they're already so crazy overburdened right now that giving them yet another function isn't feasible. to me it seems like you are disagreeing with yourself here.. you say the hetzer would make other light vehicles redundant, but then you say the hetzer locks out T4? so whats wrong with that? if the player chooses to take hetzer they get a vehicle that cant fight other lights, but at the same time delays their T4.? how is that a problem? the T2 flaktrack seems to be in a bad place itself, i hardly ever see them fielded (i mainly play 2v2) and i myself never make them. so hetzer is only really competing with luchs. and how is that such an issue? what about the greyhound for USF? i also said make the hetzer cheaper, that includes fuel price, so technically it wouldnt lock out T4 as much..
i dont think giving flamer to VG will ever happen... relic has only been removing flamers from frontline infantry, or did you miss that? penals and RM..
yeah quicker vetting would be nice as well. a buff would also help as opposed to a cost/CP reduction.. If you didn't notice already my point is that making it cheap enough to be worthwhile means it replaces regular vehicles. My other point is that it takes more than reduced cost to fix the Hetzer. There's no solid reason for you to presume that means it doesn't need fixing. Again, you're assuming, and wildly at that. A much better fix is to alter the Hetzer significantly to perform a different role altogether. StuG E is like a paper Brummbar, a Hetzer could be paper JP4, and one that can camouflage. It won't compete with Puma since the latter has turret and scout role, plus abilities.